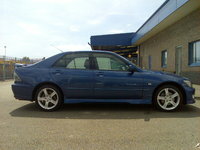 Looking for a Used IS 300 in your area? CarGurus has 1,052 nationwide IS 300 listings starting at $3,200. Responding to consumer demand for all-wheel-drive sports sedans, Lexus has introduced the new IS 300 AWD for 2016. The IS 300 AWD has a new engine, a price placing it squarely in the meat of the marketplace, and many of the same qualities that made the IS 350 a comparison test winner for both Car and Driver and Road and Track. For those new to the Lexus IS sports sedan line, the car is built on a rear-wheel drive (RWD) platform that has had optional all-wheel drive for the past two generations. 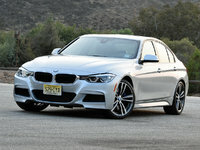 The five-passenger IS sedan is about the same size as the BMW 3-Series and the Audi A4. It's known for aggressive styling and sharp handling, and has always been competitive in terms of performance--but the IS also places real-world usability ahead of race-car gimmickry. For 2016, the Lexus IS sedan line offers a choice of three engines. The new base model IS 200t has a 241 hp 2.0-liter turbo that is very much like most competitors’ cars and is offered in RWD only. The new IS 300 AWD features a 3.5-liter V6 engine with 255 hp and, as the name suggests, AWD. And at the top of the model line is the IS 350, which is equipped with a 306 hp engine and available with either RWD or AWD. The 2016 IS 300 AWD comes with a six-speed automatic transmission that matches revs on downshifts and offers steering wheel paddle-shifters, meaning you can either use it as a set and forget automatic or shift manually for spirited driving. A sprint from 0 to 60 MPH in the IS 300 takes just 6.1 seconds, and won’t be interrupted by bad weather: the IS 300 AWD's ability to shift power from the rear to a 50-50 split front to back affords excellent traction. The IS 300 AWD also offers variable drive modes, Eco, Normal Sport, and Sport+, selectable by the rotary knob on the center console. These various modes can adjust throttle response, transmission settings, and more to transform the IS from a fuel-sipper to a canyon carver. The exterior design of the 2016 Lexus IS 300 AWD carries over from the last couple of years. Some in the motor press gave the IS look a thumbs down when it was first introduced, perhaps because they expected a conservative and classic look like that of the Audi A4 and BMW 3-Series. But the IS is modern, “swoopy”, and highly styled, with a front end that caused more controversy than any other Lexus styling change (called the "spindle grille", this front end is both aggressive and expressive). Reviewers didn’t know what to make of the redesign after so many years spent calling Lexus' designs boring, but buyers did, leading to doubled sales. The restyle made the IS Lexus’ second-best selling car model, as well as the second-best in its segment. Lexus also let its designers off the leash in the interior, resulting in a very angular cockpit that is almost busy in appearance. The infotainment screen is set deep in the center of the dash and controlled by a remote mouse that the hand can easily find. Seats are deeply bolstered and come in either NuLuxe or leather, depending upon the trim. 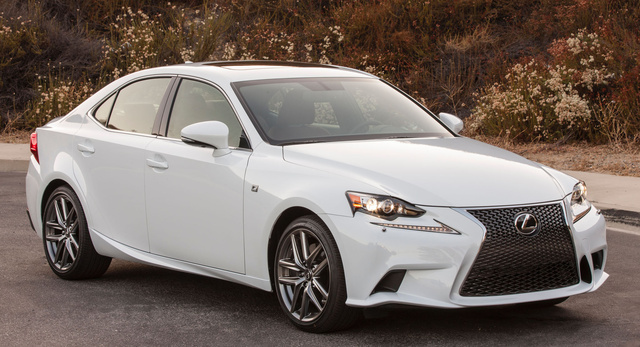 The 2016 Lexus IS 300 AWD will start at $39,700. This puts it right in the middle of the Lexus IS line and slightly below competitor’s offerings. An F-Sport version with more aggressive wheels, gauges, and seating starts at $42,945. Popular luxury ($3,945) and navigation ($1,505) packages add to the price tag of most models one will find in stock at dealers. Forward collision prevention is available for just $500, the lowest price in the premium automotive market and well worth the cost. Some IS 300 AWD vehicles will double as part-time family cars, so safety is important. The Insurance Institute for Highway Safety (IIHS) has not completed all of the crash tests for the IS line, but those it has were all scored Good. The forward collision prevention system in the IS even received a rating of Advanced. This means the IS can earn a Top Safety Pick Plus rating, pending the results of the full suite of crash tests, should IIHS choose to complete them. Those looking for an AWD sports sedan offering aggressive modern styling coupled with top-rated reliability, quality, value, and customer service ratings should move the 2016 Lexus IS 300 AWD to their short list. 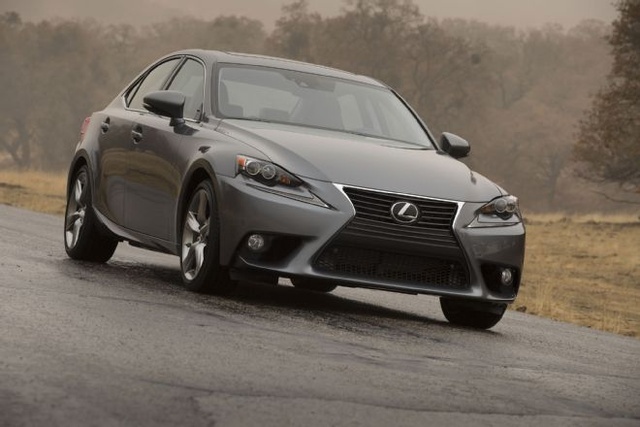 What's your take on the 2016 Lexus IS 300? Users ranked 2016 Lexus IS 300 against other cars which they drove/owned. Each ranking was based on 9 categories. Here is the summary of top rankings. Have you driven a 2016 Lexus IS 300?